I tried so hard to write earlier today but couldn’t find the time to think. Often times we focus our minds so much on the things we wish or hope to have than realizing and capitalizing on what we already own. Many times I have drowned myself in sorrow, thinking about all the things I wish I had; wanting a better paying job, travelling around the world, owning my home, driving a better car, having a billion pounds to my name and many other things I can’t put down. The truth is I am rich. I have been blessed with so much that money can / can’t buy. I am alive, I have shelter over my head, I have a beautiful family, I drive my own car, I have a job I love and the list is endless. 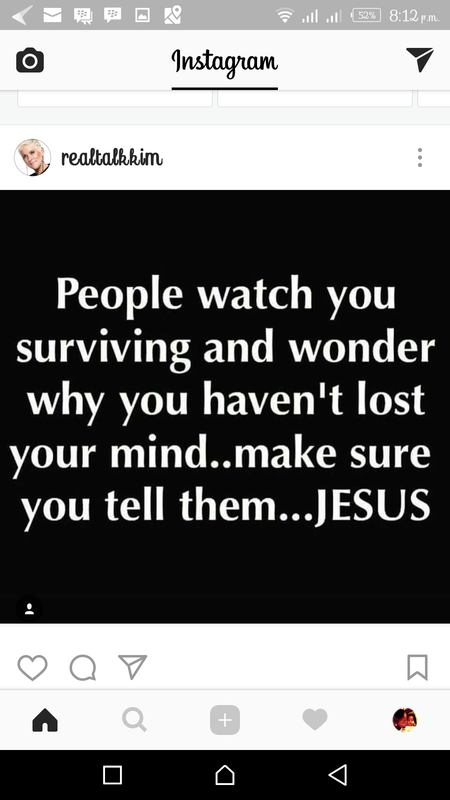 Today after seeing that quote, I began to thank God for all I have. Yes, we my not have ‘PHCN’ light, thank God I have a generator and can afford to fuel it, thank God I can afford to buy water, thank God I have a home, thank God I have a job, thank God I have a family, thank God I have my blog, thank God I have you. I am hoping to encourage someone out there tonight. I know we have an insatiable desire for the good things of life but don’t let that stop you from living a purpose filled / abundance life. Remember that God loves you and He has your best interest at heart, know that everything happens for a reason, believe that all is working together for your good…. 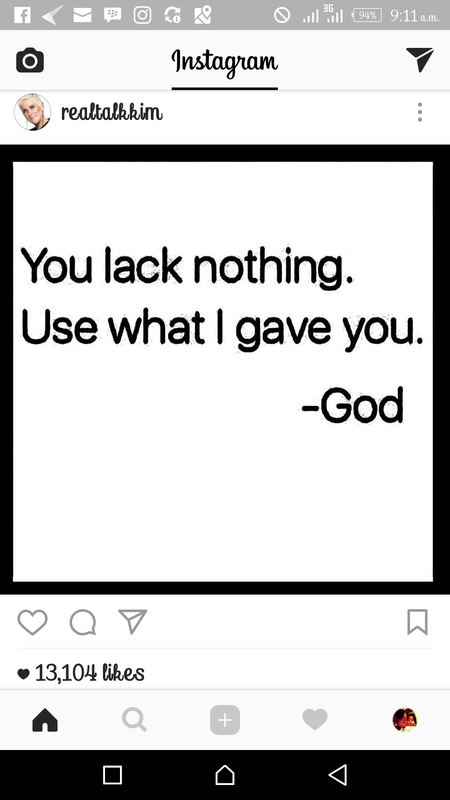 You lack nothing. Special shout out to Kimberly Jones Pothier #realtalkkim for always posting with me in mind! I find this very motivating. We often times take what we have for granted and always feel the need to satisfy our insatiable wants..